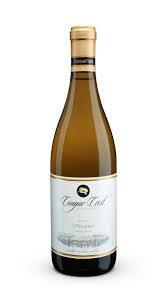 Ever so light straw with tantalizing bouquet of sweet fruit loaded with green melon, green apples sunny fruit melange! Palate--Gloriously bracing acidity that is razor sharp with nice creamy texture and a veritable fruit salad in your mouth. It finishes quite long with a touch of vanilla cream. This Walla Walla Valley (Washington State)creation from the grape of the Rhone Valley in France would be lovely with a butter soaked Maine lobster but it is a really nice summer aperitif as well all by itself. I pad $13 for this wine normally priced at $20 so I wish I had bought more! Raise a glass.